The Chrysler Pacifica minivan is going to change the way your family handles the road. With room in a spacious cabin for up to seven passengers, you’ll be sure to include everyone in on the adventure. This refined and functional minivan is available now in the showroom of Palestine Chrysler Dodge Jeep FIAT near Tyler, TX. Your entire squad will be protected when you’re cruising along the streets in your all-new Chrysler Pacifica minivan. You are going to have total confidence in what the security features of this van are going to do for your family. The Chrysler Pacifica was even picked to receive the 2018 IIHS Safety Award when equipped with available front crash protection and specific headlights. You’ll also want to take full advantage of the 360 surround view camera which gives you every view you’d need. The Chrysler Pacifica comes with entertainment that excites the whole family, no matter how short or long the voyage may be. Utilize the available Uconnect Theater and suddenly your Pacifica becomes a game and movie zone for anyone in the passenger rows. The driver will enjoy an 8.4-inch touch screen information center which can be customized to fit any driver’s needs. You will enjoy every mile of the trip when you’re in the brand new Chrysler Pacifica because it was built with your ultimate driving comfort in mind. Use standard electronic stability control for even more safety on the road as it applies selective braking and throttle control to help you maintain the course. Your Pacifica is also very fuel efficient for its class with the ability to get up to 28 MPG highway. 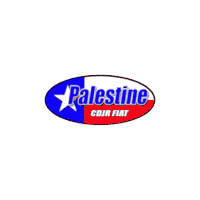 The team at Palestine Chrysler Dodge Jeep FIAT knows that buying a car is no small feat. We want to help you along the journey so you’ll have complete peace of mind that you make the correct choice by selecting us and the new Chrysler Pacifica. We proudly serve our friends in the Tyler area of Texas with the ultimate customer service experience. Our doors are open Monday through Saturday so it’s never a bad time to stop in and get acquainted with the team. Your family deserves the very best when it comes to transportation and that’s why you’re going to love the Chrysler Pacifica. A minivan with family fun in mind, the Pacifica will meet your needs and go beyond what you expected. When you’re ready to make the Chrysler Pacifica your very own, visit the team at Palestine Chrysler Dodge Jeep FIAT and we’ll help you select the perfect one. We are dedicated to the customer and will show you the highest level of service throughout your entire purchasing journey. We encourage our friends in the Tyler, TX area to visit us soon!